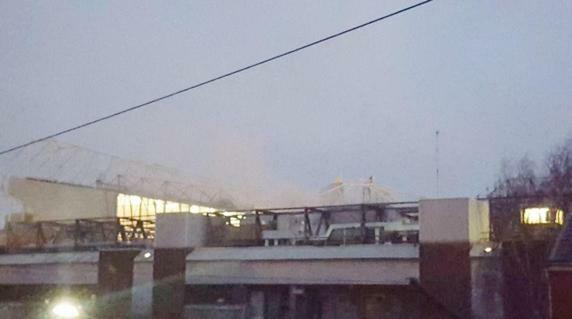 Manchester United stadium in flames. 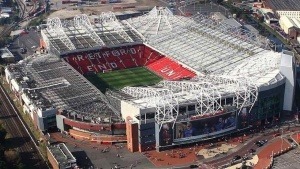 At dawn on Monday, a small fire broke out in Old Trafford forcing firefighters to intervene. The security forces have moved to the ‘theater of dreams’ to extinguish the fire originated in a hall of the stadium. According to the firemen, the fire has been initiated by the malfunction of an elevator. The fire has begun in the engine room of the elevators, causing a smokescreen that has been seen from outside the enclosure. More than likely, the cause of the fire is a shortcircuit, one of the most common causes of fires. After extinguishing the fire, firefighters have ensured that the stadium was safe to host the next match of the ‘red devils’.